Disclosure statement: Jeffrey Kucik does not work for, consult, own shares in or receive funding from any company or organization that would benefit from this article, and has disclosed no relevant affiliations beyond their academic appointment. Presidents Donald Trump and Xi Jinping have agreed to a ceasefire in their increasingly painful trade war, yet their governments’ differing depictions of the deal show just how far apart they really are. 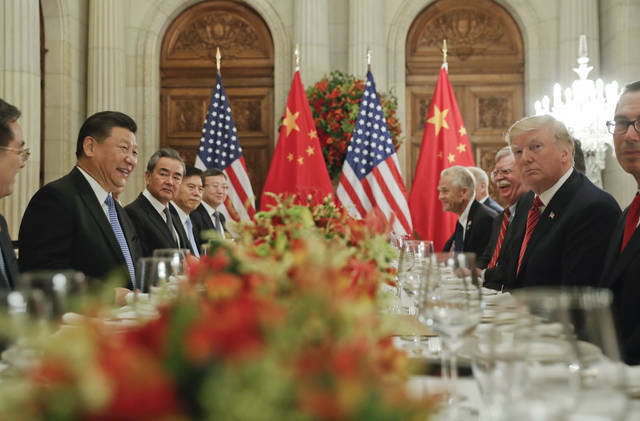 While the Trump administration emphasized trade issues such as a 90-day moratorium on raising tariffs and Xi’s concession to buy “very substantial” amounts of U.S. goods, China focused on diplomacy, regional issues and an agreement to try to quickly resolve their differences. That’s because for China, Trump’s trade war has never been only – or even mainly – about trade. One of China’s major concerns is U.S. interference in areas it considers “internal” matters. A major flashpoint is Taiwan. Earlier this year, for example, Trump approved a US$330 million arms deal with Taiwan, following up on a previous deal of $1.3 billion. These sales irk China because they directly conflict with Beijing’s long-standing policy that there is only one Chinese government, and Taiwan is merely a breakaway province that will inevitably be reunited with the mainland. Another sticking point is the South China Sea, where the Chinese government has been increasingly aggressive in asserting territorial claims at odds with its neighbors. 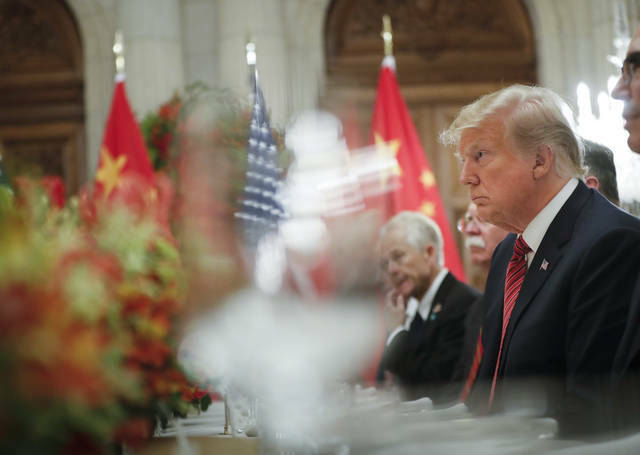 In the past, the U.S. has acted as a counterweight to China’s claims, Now inconsistency in Trump’s stance has added to tensions in the region. Both of these issues have implications for the trade war. China is willing to absorb economic losses in exchange for standing firm on issues vital to the national interest. That’s precisely why China’s statement highlighted Trump’s apparent commitment to continue respecting the so-called one China policy – something not mentioned by the Americans. As it so often does, trade takes a back seat to territory. 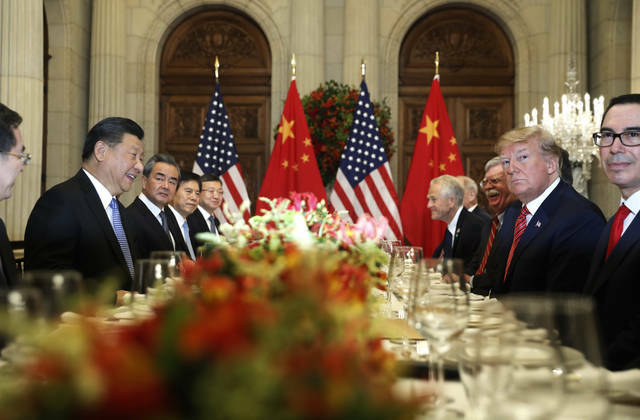 China’s statement also placed greater emphasis on economic cooperation and restoring diplomatic relations, the kind of high-minded talk that for decades has been more typical of American presidents. Specifically, China highlighted that the two leaders plan to visit each other’s countries at some point and that both sides would work toward scrapping all tariffs to reach a mutually beneficial, win-win agreement. Contrast that with the U.S. statement, which focused more narrowly on the truce’s benefits for its side. It’s another stark demonstration of the contrast between the two leaders on the global stage. Trump has been focused on putting “America first” and urging other countries to also pursue economic nationalism. Meanwhile, Xi has cultivated an outward-looking posture that aims for cooperation and compromise, embracing the virtues of economic cooperation, free trade and global leadership. Ultimately, a meaningful, lasting deal is unlikely in the 90-day window. Quite apart from trade deficits or jobs, the trade war has grown to represent a deeper geopolitical rivalry. If Trump wants a win from this battle, he’ll need to understand that Xi won’t give in easily. And China’s leader will likely expect compromise on complex territorial issues like Taiwan or the South China Sea before the ceasefire will begin to look like a full-fledged peace accord. KIEV, Ukraine (AP) — Ukraine’s president on Monday announced a partial call-up of reservists for training amid tensions with Russia, saying the country needs to beef up its defenses to counter the threat of a Russian invasion. He added that NATO allies have helped modernize Ukraine’s armed forces, have boosted their presence in the Black Sea over the last year, with more ships deployed in the region and more air policing. Vladimir Isachenkov reported from Moscow. Lorne Cook in Brussels contributed to this report. Samuel Putnam receives funding from National Institutes of Health and National Science Foundation. Masha A. Gartstein receives funding from Washington State University. Partners: Bowdoin College provides funding as a member of The Conversation US. Recently, we’ve been able to trace some of these differences to early childhood. Working with colleagues from 14 countries, we looked at the way broad societal values influenced how parents raise their children. We then studied how these different parenting styles shaped the behavior and personality of kids.